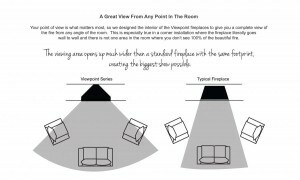 The Viewpoint Series is designed to provide a wider viewing area with greater sightline into the firebox, no matter where you are in the room. 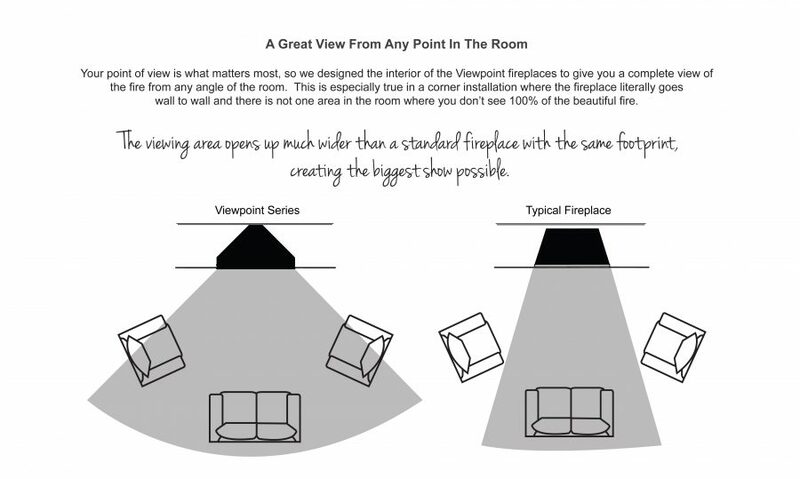 Available in two sizes (36 & 48), the shape allows the fireplace to tuck into a corner more tightly than most standard fireplaces, taking up less room while offering a much large view of the beautiful fire from every angle in the room. 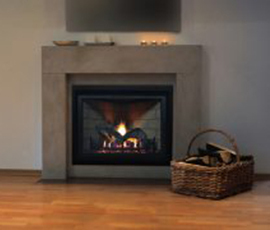 The VP-36T comes standard with a black interior and offers interior liner options that match both contemporary and traditional decors. 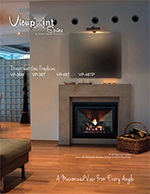 • 95% LARGER VIEWING AREA than any other fireplace in its class!